Kirk Douglas in Richard Fleischer’s The Vikings, 1958. The Vikings are back. There are bestselling novel series by writers such as Giles Kristian, Tim Severin and V.M. Whitworth, their success owing something to the current vogue for quasi-medieval sword and sorcery sagas like Game of Thrones. There has been a clutch of films – Pathfinder, Valhalla Rising, Severed Ways – depicting the Vikings as exponents of ultra-violence. The Norse god Thor has been reborn as a Marvel Comics superhero, brought to the screen in a film directed by Kenneth Branagh. 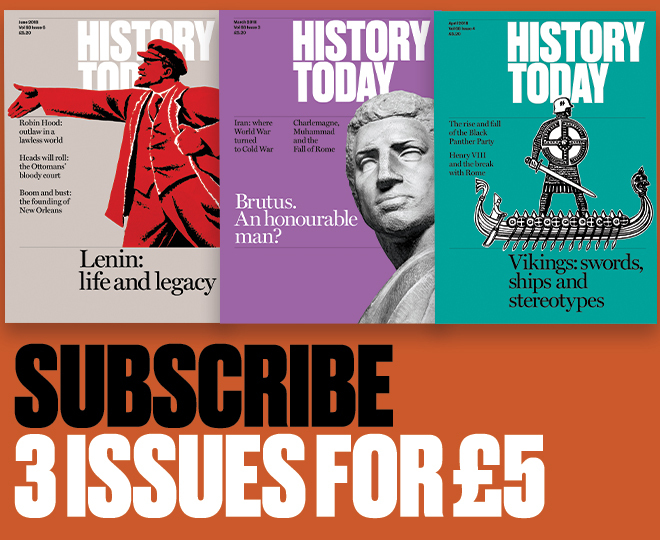 A television series on the Vikings is in development by the producers of The Tudors, something which may well give historical purists pause for thought. What is perhaps not appreciated by the consumers of these cultural products is that the Vikings as we understand them were essentially invented by the Victorians, as Professor Andrew Wawn has demonstrated in his magisterial study, The Vikings and the Victorians (Brewer, 2000). According to the Oxford English Dictionary the word Viking was first recorded in 1807. Before that date, they were known as the Northmen or Norsemen. Within 50 years there was a flood of poems, plays, novels, essays, lectures, operas and saga translations, all celebrating the Vikings. The resurgence of interest in the Vikings was the result of two cultural developments. One was the rise of racial science, with its hierarchy of peoples topped by the Nordic races. The other was the rise of Romanticism, a movement that prized the medieval past, heroic individualism, the occult, the idea of freedom from rules and restraint and the primacy of emotions. The Vikings, mythified by writers such as Walter Scott in The Pirate (1822) and in subsequent novels by Rider Haggard (Eric Brighteyes), W.G. Collingwood (Thorstein of the Mere) and R.M. Ballantyne (Erling the Bold), appealed to both ideologies. It is from the 19th century that all the elements of the Viking myth derive: horned helmets, dragon ships, blood oaths and blood feuds, male bonding, dreams and prophecies, casting the runes and the burning ship funeral ritual. The Vikings came back in the second half of the 20th century as role models for masculinity. The dominant code of masculinity from the mid-19th century to the mid-20th century was provided by the code of chivalry – the idea of being a Christian gentleman. This notion was promoted in the popular culture both of Britain and America. The last age of chivalry was enshrined in the 1950s’ cinema when the screen was filled with knights and more films about Robin Hood and King Arthur were made than in any other decade. 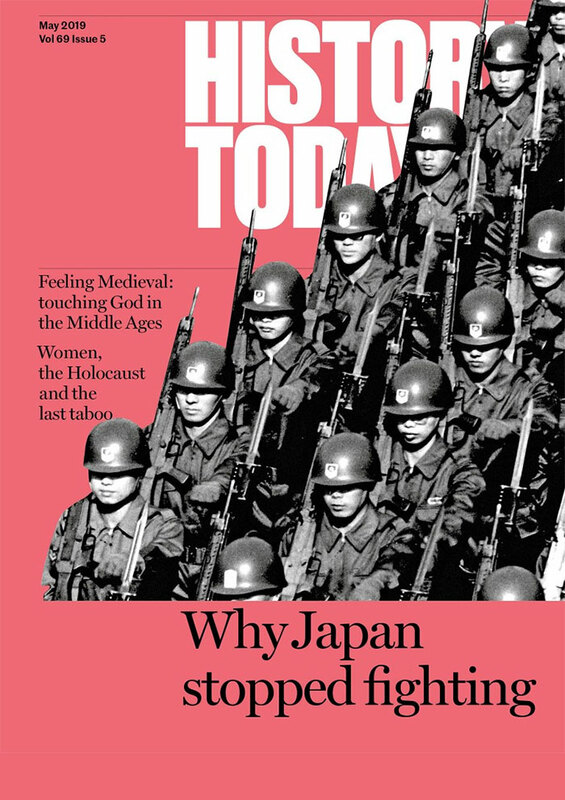 But chivalry was to be rejected in the 1960s by the Left as class-bound, by feminists as patronising and paternalist and by the young as inhibiting. The image of the gentleman was overtaken by the heroic image of the barbarian, in particular the Viking. In Prince Valiant (1954) the hero had been an Arthurian knight and the villains the violent pagan Vikings. But in 1958 the film The Vikings was a huge hit and established a new model of masculinity. It was an unabashed celebration of paganism, deploying all the ready-made aspects of the Victorian myth. There had been nothing like it on the screen before and young men lapped up the picture of a boozing, brawling, wenching culture that validated the ‘Iaddism’ already practised by some but disapproved of by society. 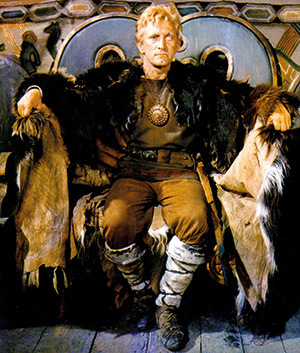 Kirk Douglas as the one-eyed Viking warrior Einar, the epitome of the lusty, violent blond barbarian, became the preferred role model. So successful was the Hollywood film that it spawned a host of imitations, particularly dubbed Italian spectacles – The Last of the Vikings, The Vengeance of the Vikings, The Fury of the Vikings, The Knives of the Avenger, Invasion of the Northmen. Many of them starred the Hollywood actor Cameron Mitchell, his hair dyed blond to make him resemble Kirk Douglas. The Viking epics were precursors of a series of films with barbarian heroes, Conan the Barbarian, Mad Max, Rambo, films glorifying violence as a measure of masculinity. Ironically this cycle of films coincided with a revisionist view of the Vikings being developed by historians, a view which sees them not as savage conquerors but as traders, explorers, shipbuilders, craftsmen and mapmakers. It is an interpretation enshrined in the wonderful Jorvik Centre, which opened in 1984 in York, taking a broad, inclusive approach to the Viking heritage. The BBC2 television series Vikings by the archaeologist Neil Oliver is the latest attempt to promote the revisionist view. Little of this has found its way into the new popular manifestations of interest in the Vikings. They are essentially reworking the Victorian myth, with its robust affirmation of a very basic manliness at a time when there is once again a widely reported crisis of masculinity, provoked by both economic recession and mass unemployment on the one hand and the changing nature of gender politics on the other. Jeffrey Richards is Professor of Cultural History at Lancaster University.